A Free 12 month subscription to Adobe Creative Cloud - All Apps! $300 Training Credit at RGG EDU - Can be used on any Tutorials! Awareness was the theme for this competition! One of the most wonderful transitions photographers can experience is an increased awareness of the amazing world around us. People, places, events, its fragile beauty, or the awesome power of nature are always hanging in a delicate balance and when viewed through the lens they all take on a new, unique perspective. At the next level many photographers also develop the ability to both See and Capture moments that also expand the Awareness of the viewer. 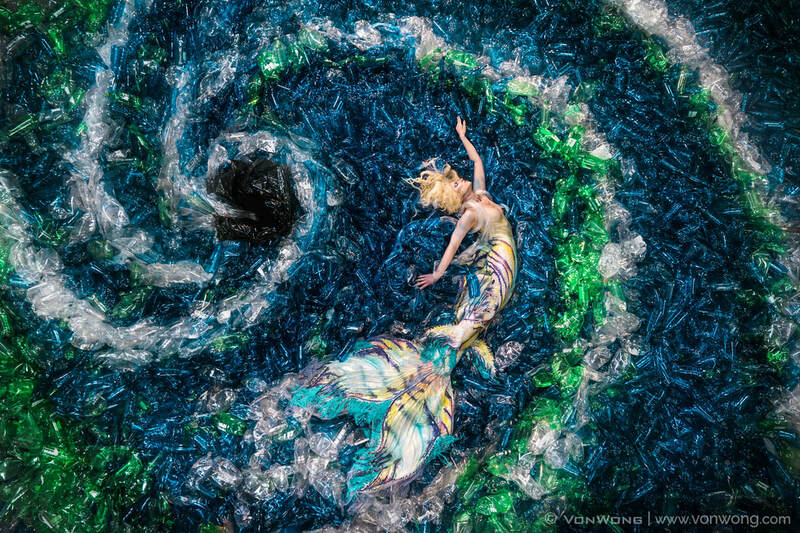 We are honored this month to have Benjamin Von Wong with us and he is truly one of the masters of creating powerful, thought provoking imagery. He will be both judging the competition and hanging out with our first place winner! ​We are looking forward to seeing your images that best represent your vision of or glimpse into a moment of Awareness! ​In the spirit of his work and the theme we will also be supporting Bens' awareness driven inspired friends over at the SeaLegacy. 10% of all of the first 999 entry fees will be donated to the SeaLegacy. If we have more than 1,000 participants 100% of those entry fees will also go to SeaLegacy. 10,000 is the average number of plastic bottles used by an American over the course of their lifetime. How the winners will be selected! Works will be selected by Ben based on creativity, quality of execution and a uniqueness of vision that best captures the spirit of the Awareness theme. ​The work can be expressed from realism to abstraction. and an additional $4,000 in cash to the First Place winner travel to hang out with Von Wong if more than 1,000 people participate! A free SmugMug Business Site for 12 months! We are an Affiliate of On1 and SmugMug and do receive compensation for any referrals that result in sales. Cash Awards with our Growing Awards Plans let you win more. The more Photographers the greater the Competition and the larger the payout prize will be all the way up to $6,000! and receive Focused Social Media Publicity. Open for Submissions - Now! Winners Announced - Est 14 Sep 2017- we are working around Benjamin's assignments! Can the $4,000 travel fund award be used for anything other than travel? Yes! We will send the funds directly to your Paypal Account, they can be used for travel, lodging, charity, equipment, etc. What are the dates and exact location that I would be able to hang out with Ben? This is flexible and will depend on both of your schedules. Ben will be contacting the winner directly to set up an awesome hangout with you!